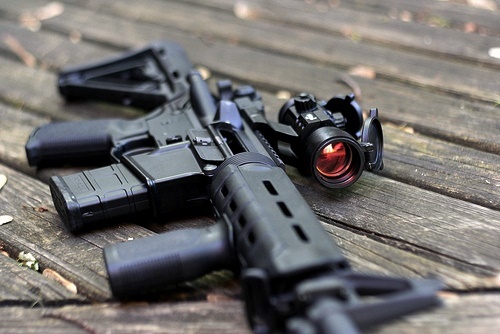 The AR15 is perhaps the most common current production rifle in the United States. With nearly limitless configuration options and historical all-time low pricing, many owners are left looking for cheap red dots to put on their rifles. However, the world of inexpensive imported red dots is murky, and sometimes a recipe for disaster. 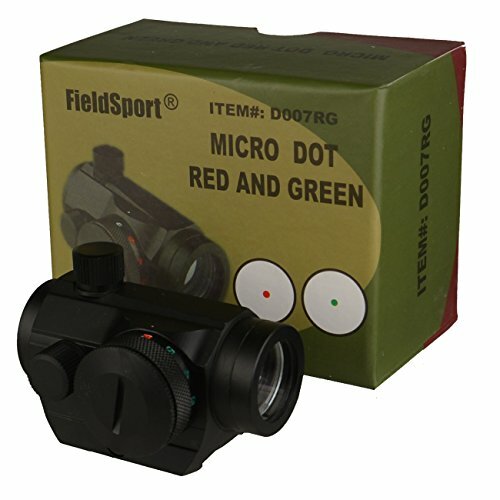 Cheap airsoft grade red dots compete side by side with genuinely useful and functional sights. To make things more entertaining, many cheap red dots copy each other or even top shelf red dots, all of which conspire to make picking the best cheap AR-15 red dot hard. Having spent a year working with an importer of tactical parts, I was tasked with finding 4 of the best cheap red dots for AR 15 rifles, which are the ones below. These sights that will make your pocketbook happy and will actually hold up to real world use. I’ve actually got one of these sitting on an upper right now. A copy of the more famous TRS-25 red dot, but with the added feature of a green dot option, this has become a very popular cheap AR-15 red dot. While it doesn’t have coated optics, reducing its utility in some areas, for target shooting or casual hunting, it more than does the job. This would be my choice for a budget AR pistol build or a dedicated .22 upper. Heck, it really works well for any budget build, but these compact red dots are most at home on pistols and lightweight builds. Either way, at this price, it is hard to go wrong with this proven sight. Another cheap in price but not in quality AR-15 red dot. This highly rated offering from Dagger Defense offers both sleek styling and rugged functionality. As is common with these imports, it features both red and green dots, which is a nice value added feature for an entry level sight. Capable of co-witnessing with standard A2 front sights, this bargain (see full specs) is more than suitable for most common usage. While I wouldn’t take it to war, I’d take it hunting all day long. 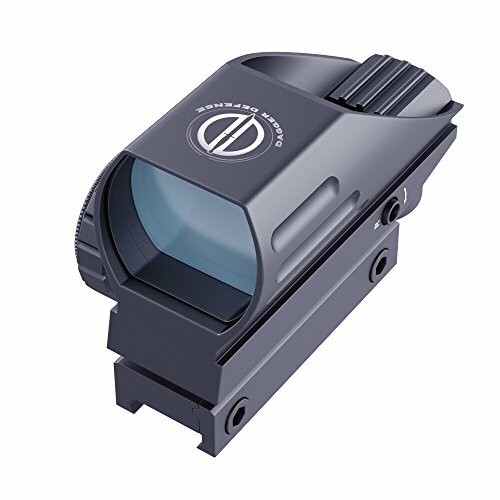 With its wide 291 degree field of view, it is also a great way to get into 3 gun shooting without spending a lot of money on optics. Definitely a top contender for the best cheap red dot for AR15’s. 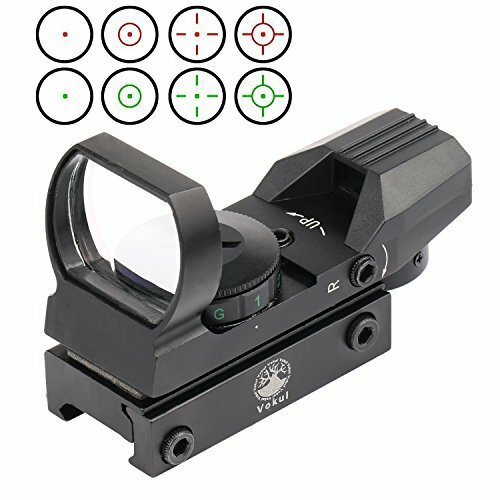 Aside from being priced just right, what I love most about Vokul’s open reflex sight is that it has three different reticle patters, along with a red dot, plus the expected red/green color options. This makes it highly suitable for the AR15 or even shotgun use, and allows for rapid acquisition of targets. While certainly somewhat near the bottom in terms of acceptable quality (it works, but in this price range, don’t expect to take it through an intensive carbine training course) it does in fact do the job it is advertised to do, and is a great way to put a red dot on your AR without spending much money. 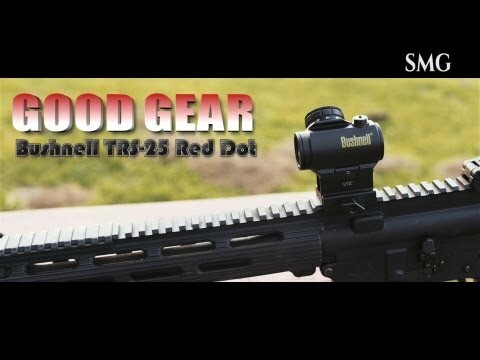 Buy this if you are new to red dots or are a casual weekend shooter, or simply appreciate a cheap red dot with multiple reticle patterns. It’s a decent sight—enjoy it for what it is. Cheap is relative, but it never hurts to explore things a bit higher in price. The TRS-25 is perhaps the gold standard for affordably priced red dots, and for good reason. It really is a fantastic AR15 red dot. 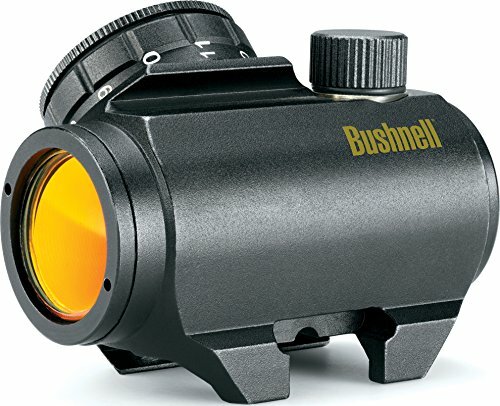 It features multi-coated lenses for optimal clarity, an aircraft grade aluminum alloy body, and Bushnell’s famous commitment to quality. These sights are very popular on AR pistols or wherever a lightweight, compact but highly functional red dot is desired. The TRS-25 (see full specs) is rugged enough to hold up to heavy use and is suitable for hunting, sport shooting, and even some tactical applications or training. Bottom line, if you need more than what a cheap red dot can offer, grab a TRS-25. Hands down, it’s the best cheap red dot sight for AR15’s. As I mentioned earlier, the market is awash with questionable quality red dots offered to an unsuspecting public. 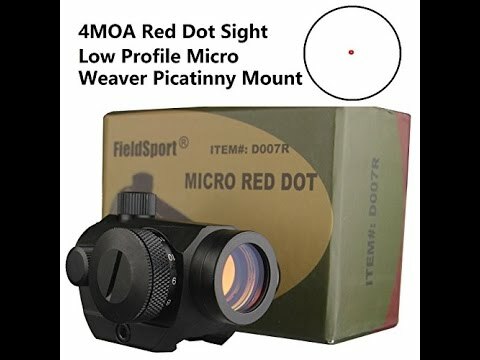 Carefully examining reviews is the best way to identify a quality cheap red dot. It is important to remember that these things are cranked out and often are only batch tested for quality. This means that sometimes you will find a dud, but any reputable seller will quickly replace them. Assuming that, like the vast majority of people, you got a good working sight, then things get much easier. The circuitry of a modern red dot is simple and robust, so it is hard to knock these apart from the recoil of most AR style rifles. However, these cheap red dots are not sealed well against moisture and dust or built to handle impact well. Don’t expect to take your rifle through a training course and have a cheap red dot survive. Basically, if you are casually shooting, and take your AR-15 out in good weather, these red dots will hold up just fine. Avoid high markups, these things are cheap to make. Unbelievably so in fact, and most of the cost is associated with the price to ship them from overseas. There is little rational reason to pay a lot for an off-brand red dot, and even going that high, it had better be nicer than average. One nice thing is that in an effort to make these cheap red dots more appealing, many do ship with red and green color choices (so many in fact, that I suspect they all use the same basic circuitry and differ only in case design). This is a normally high end feature that elevates these entry level sights to a new realm of functionality. If you go into these things with both eyes open, and reasonable expectations, you will really be surprised at what the best cheap red dots for AR15’s have to offer. Good luck!